Come join us and paint a special pumpkin for your front step or inside your home! Fall is the best time to decorate your home to start the holiday season. 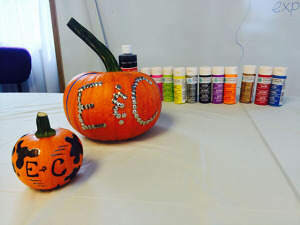 Create a special pumpkin and have something different than everyone else! Kids are welcome to come, we will have smaller pumpkins available for them!